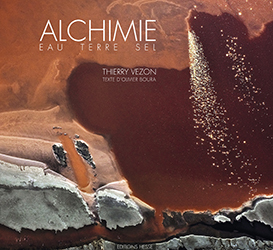 You can contact Thierry Vezon to get a dedicated book. 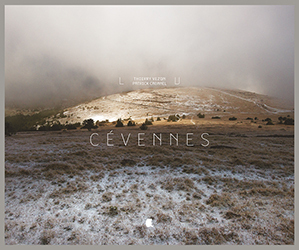 Cevennes in the South of France. 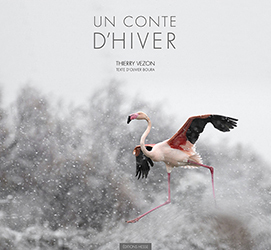 Un conte d’hiver Hesse editor(2016). Superb text by Olivier Boura. Since 2007,Thierry Vezon travelled to Japan, Svalbard, Iceland, Italy and also at home to the south of France. Wonderful pictures of nature in winter, like a dream! Size 24×22 80 pages 55 photos. Aerial photos of Camargue . Amazing coulours, forms and graphism like abstract paintings. 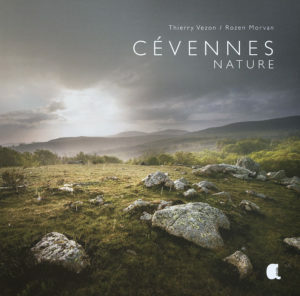 Thierry Vezon has explored the Cevennes in all seasons to catch the beauty of a preserved nature:from stormy skies to light-filled dawns,from the Cevennes valleys to the Gardon rivers,from the causses to the gorges,and from flora to wildlife,his pictures magnificently portray this land of contrasts.They are accompanied with a text (both in French and English) by ethologist Rozen Morvan. Editions Alcide. 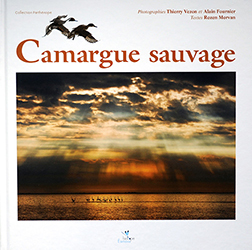 Camargue Sauvage is a tribute of the amazing biodiversity of this region. Biotope éditions with also pictures of Alain Fournier .A text very documented by Rozen Morvan. Size:27×27 cm et 260 pages. Price 25 euros. 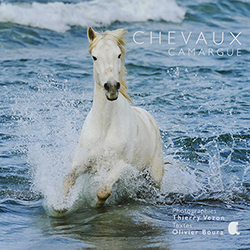 Symbol of freedom, the horses of Camargue are part of history. Alcide éditions with superb text by Olivier Boura . Size 24x24cm en 128 pages. Price 25 euros. 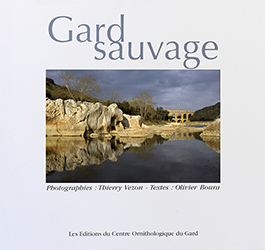 Gard Sauvage is a tribute to the amazing biodiversity and to natural patrimony of this part of South of France. Editions du Cogard with a superb text by Olivier Boura.